Flush mount, twin outlet modular jack and plate. Fits all standard modular phones. Permits connection of two phone or phone /answering machine combination. 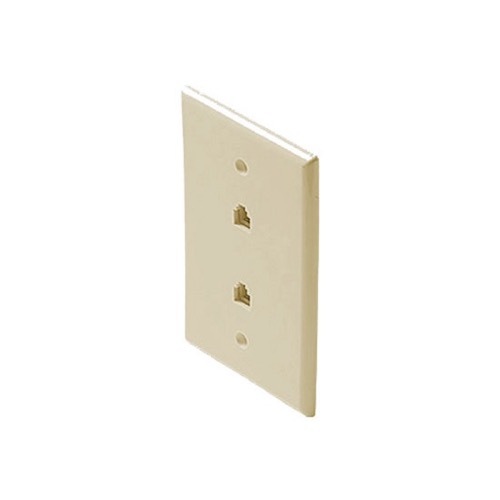 Installs in standard electrical box, to replace existing flush mount jack or add new jack.